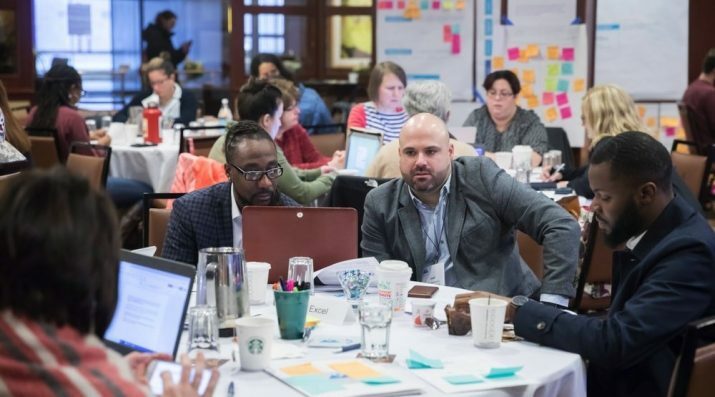 Mass IDEAS, an initiative launched by NGLC in 2017, is dedicated to helping communities across Massachusetts that are ready to learn from each other, share ideas, and turn great ideas into great schools. Planning grants, combined with direct support, provide teams that are ready to create new schools or redesign whole schools with the knowledge, skills, dedicated time, financial resources, and support to do so effectively. The grants and direct supports work in tandem to ensure effective school model planning. Applicants: Teams from communities across Massachusetts who meet the eligibility criteria outlined in the Request for Learning. Please note: Local teams may collaborate with organizations outside of Massachusetts. Funding Priority: Applications that demonstrate a bold vision that is supported by evidence of the community’s need for and interest in the proposed school model. Detailed information about this grant opportunity and the application process is available on the Mass IDEAS website. Request for Learning: This document offers background context for rethinking school in Massachusetts, school design principles, eligibility, budget guidance, planned supports, grantee expectations, the application process, and more. Application: Applications must be submitted via the online application form. FAQs: This resource provides responses to common questions, updated as needed. Applicant Resources: Available to prospective applicants during the open application period, resources include office hours by phone, a webinar with experienced school designers, and in-person writing workshops. Registration in advance is required for some of these supports. The schools listed below were awarded grants by NGLC through past grant opportunities to support new designs for school. The Barr Foundation’s mission is to invest in human, natural, and creative potential, serving as thoughtful stewards and catalysts. Based in Boston, Barr focuses regionally, and selectively engages nationally, working in partnership with nonprofits, foundations, the public sector, and civic and business leaders to elevate the arts, advance solutions for climate change, and connect all students to success in high school and beyond. Founded in 1997, Barr now has assets of $1.7 billion, and has contributed more than $837 million to charitable causes.